MOORESVILLE, N.C. – Lowe’s Companies, Inc. announced today it will expand its military discount program by offering 10 percent off personal purchases every day to current and honorably discharged members of the U.S. Armed Forces. The new program uses a MyLowes card for quick identification, is available both in U.S. stores and on Lowes.com and offers easy online enrollment. The discount is effective immediately. Visit Lowes.com/military and complete a short personal profile. Check the box to receive a free MyLowes card. After the one-time enrollment, U.S. military customers can present their MyLowes card at the store cash register, scan their card at self-checkout or sign in to their account at Lowes.com and receive the discount. In addition to simple checkout in stores and online shopping, the MyLowes card offers free parcel shipping for purchases ordered online with no required minimum purchase. For additional details about the discount, visit Lowes.com/military. Lowe’s is proud of its long history honoring servicemen and women. In addition to the military discount program, Lowe’s provides differential pay for employees serving in the military and offers employment opportunities for military personnel after their service ends. Currently, more than 10,000 Lowe’s employees are U.S. military veterans or members of the Guard or Reserve and nearly 800 are deployed to active duty. In 2016, Lowe’s received the U.S. Department of Defense Freedom Award, the highest recognition given employers for supporting the military, particularly employees serving in the Guard and Reserves. 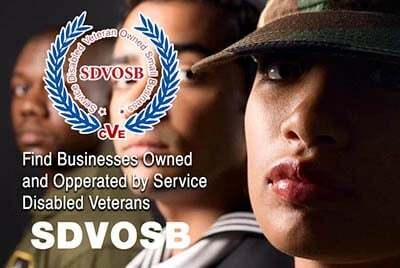 Previous Article List of SDVOSB and Veteran Owned Business bid opportunities with the Federal Government.